It is that time of the year again when the flu season hits you and you are left with sniffles and cold seasonal allergies, sinusitis and what not! While decongestants and antihistamines do provide temporary relief but the side effects are hardly pleasant. The side effects can range from increased heart rate, drowsiness, and blood pressure. The conditions can be particularly irksome and you have to think of a number of ways to get relief from your symptoms. Natural ways are probably one of the better ways to deal with seasonal allergies for the simple and potent reason is that they come with zero side effects. 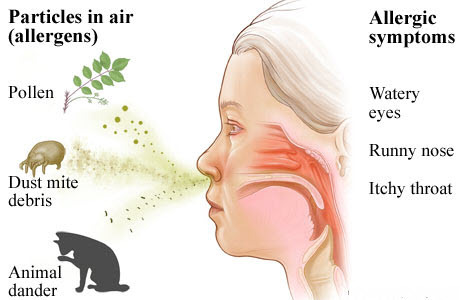 So if spring has greeted you, can allergies be far behind? Surely not! So what are the symptoms of seasonal allergies? I suffer from it so I know very well the sniffling, thesneezing,and the congestion and also the runny nose, itchy eyes the works! While they are not life-threatening certainly, but for those people suffering from conditions like asthma, allergies can go on cause some serious repercussions. You may notice that some of your allergy symptoms can get aggravated with stress. In other words, if you are too stressed out you may feel the effects of the allergy symptoms more. So, whatever helps ease your stress levels will also help with your allergy symptoms. For that the first natural treatment that comes to the mind is Reflexology. Yes, you may need those over-the-counter antihistamines to combat with the sudden bout of allergy and it may leave you feeling very drowsy. But with time and following regular acupressure therapy, those unpleasant side-effects can finally bid you adieu! Isn’t it a great relief to stumble upon a natural treatment which will give you great relief from incessant sneezing and red watery eyes? It certainly is! Reflexology is a great way to calm down the nervous system and coerce your mind to go into a state of rest, repose, and relaxation. 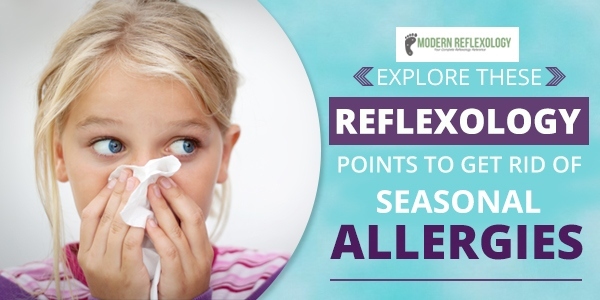 This can be done by activating the reflexology points for allergies found on your face, ears and feet and hands. There are thousands of nerves you can find in these areas and a whopping 15,000 in your feet alone! So now you know why you feel so energised, clear-headed and stress-free after a session of reflexology. After one invigorating session, you will feel you needed this! 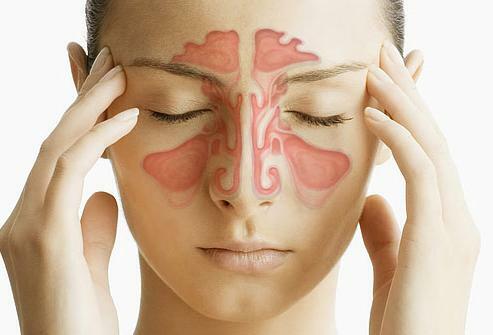 The balls of the toes or the sinuses can open up blocked sinus cavities. The center of the big toe or where the master gland is located helps stimulate and balance hormones of all other glands. The thymus gland which is located in the upper inner edge of the ball of foot help strengthen your fledgling immune system. You lungs, chest, and bronchial which are located in the center of the ball of the foot can let go off congestion. The point known as the solar plexus/diaphragm is located under the ball of the foot at center as it helps reduce stress and helps initiate relaxed breathing. The adrenal gland which is located right above the center of foot near the inner edge produces Your body produces cortisol to reduce inflammation. The ileocecal valve which is located on the lower outer edge of foot controls the production of mucus. Large Intestine 4: You can find this point between the thumb and index finger. Pregnant women should steer clear of using this massage point as it can induce labor. Gallbladder 20: You can find this point located at the back of the skull located just at the junction between the ear bone and the neck. These acupressure points, when activated will strengthen your immune system and also help balance the flow of your energy thus promoting overall wellness and allergy sufferers will surely benefit from this treatment. The power of your mind can also influence your mind to feel better, both at the time of a reflexology session and after a reflexology session. Visualization is a powerful technique that can impact your mind and bodies positively. You are what you eat! And it is so true what you eat has an immediate impact. A diet which is high in anti oxidants is one of the most powerful weapons to fight of allergy symptoms, in fact any disease. By a nutritious diet, we mean a diet rich in antioxidants and omega-3 fatty acids. While you add certain things to your diet, there are some,food items that have a detrimental effect on the body, thickening the mucus and forcing the body to produce more histamines. This, in turn, can set off a bout of stuffiness, sneezing,and irritation to the eyes and nose. The below mentioned dietary modifications can combat your allergies with great ease. Follow them to get effective results. Stay hydrated: Constant sneezing can dehydrate you and the need to blow your nose can result in dehydration, leading to splitting headaches and can further aggravate your symptoms. Thus, when you stock on more fluids you are better equipped to deal with symptoms associated with both allergies and sinusitis. Keep your meals spicy: Spices not only add the extra zing to your meals but they have tons of anti-inflammatory properties which can be a potent disease-fighter! Here are a few fiery spices to spice up the proceedings. 1. 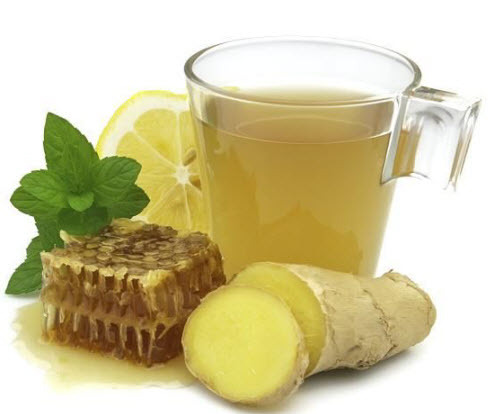 Ginger: Ginger has potent anti-inflammatory properties that can spice up your meals significantly. In fact, a study made in 2008 published in International Immuno pharmacology suggested that ginger can manipulate the immune response to inflammation particularly linked to allergic asthma. But ginger should be used with caution, especially the supplements as it can interact with other drugs like blood thinners such as coumadin and aspirin. 2. Onion: Onions can make you cry when you chop them but it can also help you open and drain your sinuses with ease. It contains quercetin that is a chemical compound that can have antihistamine properties and hence helps in the reduction of inflammation and nasal congestion. 3. Garlic: Garlic’s contains several chemical compounds namely, allicin, S-Ally cysteine, and ajoene. These are said to contain properties which control mucus flow and also reduces congestion owing to its anti-inflammatory and mucus thinning properties. 4. Cayenne pepper: The chief component of capsaicin found in cayenne peppers has mucus-thinning properties and stimulates the sinuses which aid in air circulation. So, consume more foods which contain cayenne peppers and watch your congestion disappear. 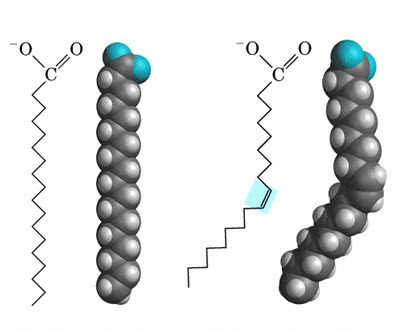 Omega-3 fatty acids: The essential anti-inflammatory properties of omega-3 fatty acids are what makes ita great weapon to reduce immune dysfunction and get relief from allergy-related conditions. Go all out on nuts as it has great quantities of omega-3 fatty acids, pumpkin seeds, flaxseed, walnuts, and almonds. There are a great variety of beans available such as kidney, pinto, and mung beans and all of them are great ways of fulfilling your requirement for omega-3 fatty acids. Vitamin C: Increasing your intake of vitamin C can help reduce the symptoms considerably as it contains antioxidants which counteract histamine, the substance that can increase inflammation leading to sneezing, runny nose, and other related symptoms. Sources of vitamin C include citrus fruits such as oranges, grapefruit, and strawberries. 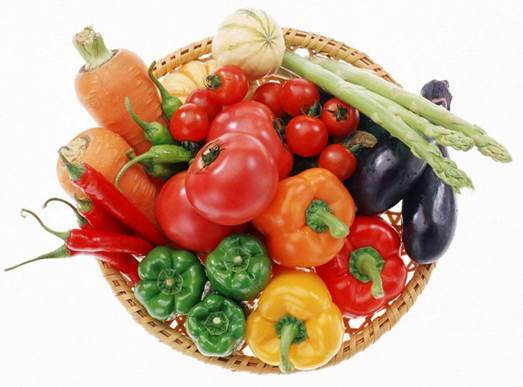 Vegetables such as tomatoes, kale, red and green bell peppers, broccoli, spinach and Brussels sprouts. Gingerol: Found in ginger, infact it is the active component of ginger. Quercetin: You can find quercetin in food stuff such as onions, wine, tea, leafy green vegetables and some otherfruits, and vegetables too. EGCG: Enjoy your cup of green tea as EGCG is contained in green tea extract. Inhaling Steam: Inhaling steam from a humidifier can give you great relief from allergy symptoms, besides that a relaxing hot bath or acup of hot water can greatly decrease congestion. Nasal hydration: Since the nasal passages are congested washing the nasal passages with a hypertonic saline solution can help remove mucus from the passages. You can make a hypertonic solution by mixing one teaspoon of salt with two cups of warm water. There are two different types of methods that are typically used to administer nasal washes. One method includes administering the solution into the palm of the hands and inhaling it through the nostrils, one at a time. The other method requires having a Neti pot, which is a device used for cleaning nasal blockages. If you want to use a neti pot here is what you can do,tilt your head on one side and insert the spout of the pot into you upper nostril, and let the saline solution flow through the blocked sinuses. You can use both methods but remember to use only sterile solutions to irrigate the sinuses. Bust that stress! Stress is the bane in modern day lifestyle. So it is important that we incorporate stress reduction activities which canhelp combat with diseases. Simple things which are effective in reducing stress are socializing with friends, listening to music, and just indulge in some me time. This can drastically reduce your stress levels and helps in the management of your allergies or sinusitis. Keep a check on your stress levels also, find ways to keep yourself engaged in things that keep you happy and work on the reflexology points for allergies and all of these methods when done in conjunction can help in a great way to eliminate stress and with that the symptoms of allergies.